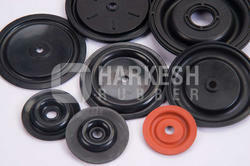 Prominent & Leading Manufacturer from Mumbai, we offer LPG & CNG Diaphragm. We offer finest quality LPG & CNG Diaphragm which are fabricated from a superior quality raw material. We adhere to international quality standards and manufacture our range as per the specification of our clients. Looking for LPG & CNG Diaphragm ?